It's time to splurge with this awesome offer at Aeropostale. 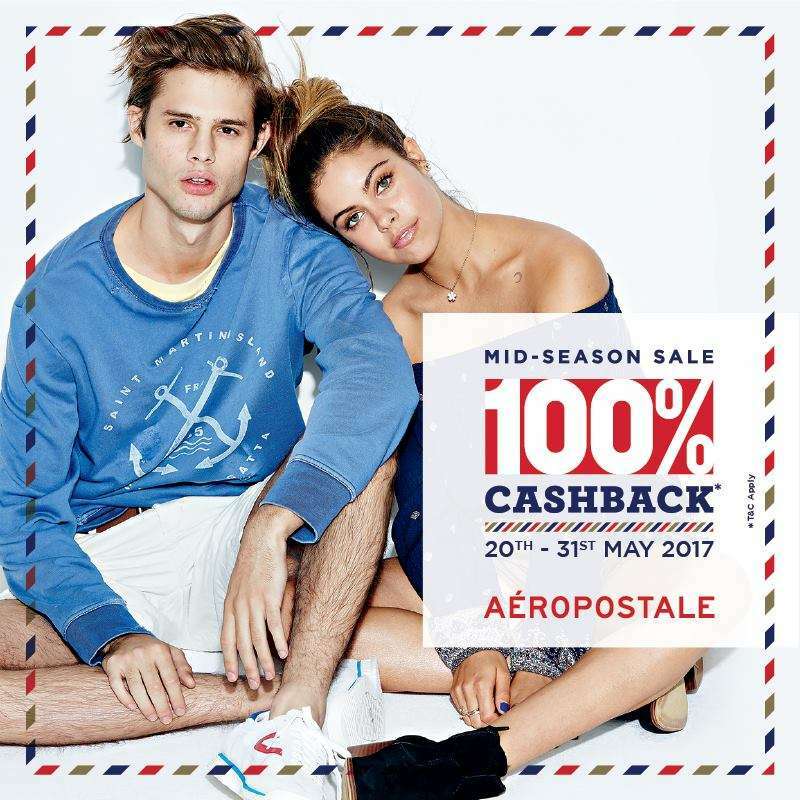 Get 100% Cashback at the Aeropostale Mid-Season sale from 20th to the 31st of May 2017 at Aeropostale Stores. Shop for Rs.5000 & get Free Shopping worth Rs.5000.